ZTE Corporation, a major international provider of telecommunications, enterprise and consumer technology solutions for the Mobile Internet, today officially launched its ZXMP M721 CX63A, a new compact metro edge E-OTN device for 5G network construction. India’s Department of Telecommunications has formally announced that it is excluding Chinese vendors Huawei and ZTE from participating in its 5G technology-based trials. Sparkle, the international services arm of TIM Group and among the top ten global operators, announced the expansion of its global IP backbone in Asia with a new point of presence in Ho Chi Minh City, Vietnam. Opened in partnership with CMC Telecom, one of the country’s leading telecommunication service providers, the new PoP will serve one of the fastest growing IP markets in Asia, providing high performing IP Transit and Ethernet services to local ISPs and content providers. 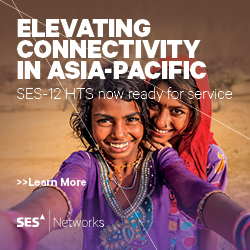 Fully interconnected with Sparkle’s Tier 1-grade Global IP backbone Seabone, with access to the most important submarine cables connecting Asia to Europe – such as SEA-ME-WE 5 - the new PoP in Vietnam marks a further expansion of Sparkle’s reach across Asia, adding to the existing PoPs in Singapore, Hong Kong and Kuala Lumpur. Furthermore, Sparkle launches a new multi-service PoP in Singapore. 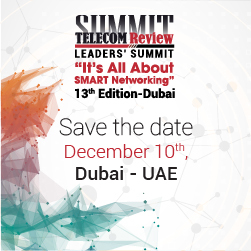 Located at Global Switch’s data center, one of the most important telecommunications and internet ecosystems in Asia, the new PoP is designed to serve both the local and the global IP markets, providing high performing IP Transit, DDos mitigation and virtual NAP services to operators, OTTs and content providers. Leveraging on Global Switch’s access to all sub-sea cable systems landing in Singapore - including SEA-ME-WE 3, SEA-ME-WE-4 and SEA-ME-WE-5, of which Sparkle is a consortium member – the new PoP will provide top quality east and west bound low latency connectivity solutions on the submarine route connecting Asia to Europe. In particular, access to the new generation SEA-ME-WE 5, which is natively extended to Sparkle Sicily Hub consolidates Sparkle’s role as leading European doorway for the Asian market. Fully interconnected with Sparkle’s Tier 1-grade Global IP backbone Seabone, the new PoP adds to Sparkle’s existing PoP at Singapore Equinix, Hong Kong, Kuala Lumpur and Ho Chi Minh City, Vietnam, confirming Sparkle’s commitment to expanding its IP Backbone in Asia. South Korean mobile operator SKT (SK Telecom) has released its list of 5G vendors and a surprise omission is Chinese telecommunications behemoth Huawei. 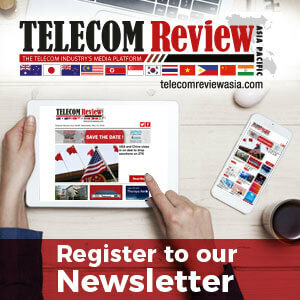 The telecommunications incumbent in South Korea has selected European vendors Ericsson and Nokia along with Samsung as its 5G network equipment suppliers. Alibaba Group Holding disclosed its plans to establish a new subsidiary dedicated to chips with the aim of launching the first self-deployed AI interference chip in Q2 2019 capable of enabling autonomous driving, smart cities and logistics. Huawei became the first vendor to pass China's 5G standalone (SA) test. The test, which covers key core network technologies and service procedures, is the third phase of 5G R&D trial. The trial was organized by the IMT-2020 (5G) Promotion Group and conducted at the China Academy of Information and Communications Technology (CAICT). The test constitutes an important part of the 5G R&D trial. ZTE, a major international provider of telecommunications, enterprise and consumer technology solutions for the Mobile Internet has released a Cloud Unified Data Repository (CUDR) solution to satisfy the requirements of 5G services and future network evolution. US President Donald Trump has warned US technology behemoth Apple to move its manufacturing operations back to the United States if it wants to avoid high tariffs on Chinese imports. The early deployments of commercial 5G have kept increasing around the world after the first version of 5G standards was completed in June 2018. China has announced that is currently considering a potential merger agreement between two of the country’s top three mobile operators. Bloomberg has reported that state-owned China Unicom and China Telecom may merge in an effort to accelerate 5G investment in its battle with the United States to be the first nation in the world to commercially deploy the technology.